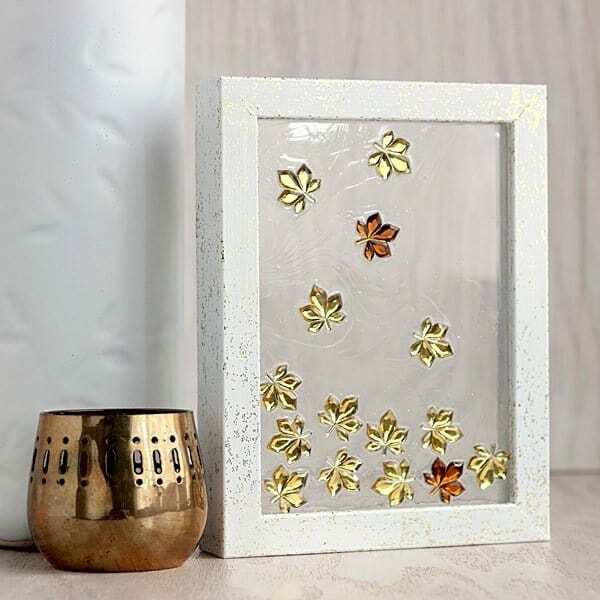 If you love autumn crafts, this falling leaves frame will put you in the mood! It's so easy to do. 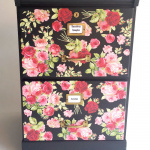 Just grab your Mod Podge and some gems. I love fall. I can't wait for sweaters, hot drinks and pretty colored leaves. And I love autumn crafts. But fall isn’t quite here yet. It is still warm in Pennsylvania and the leaves are green and clinging to their trees. 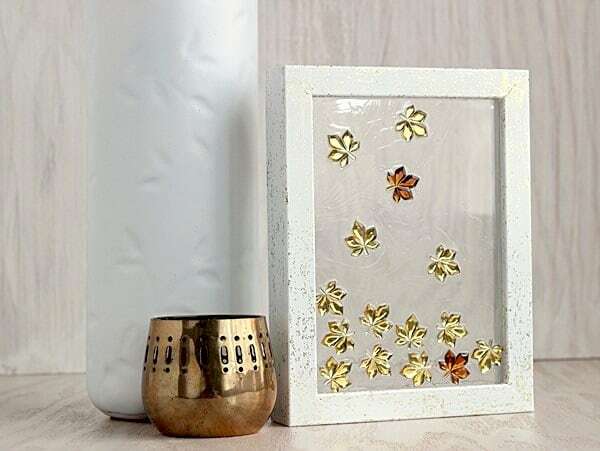 Since I can’t wait for the season to get here and for autumn crafts, I decided to make my own little view of fall, in a gold and sparkly way! I recently created this faux mosaic-like frame to remind me of falling leaves. 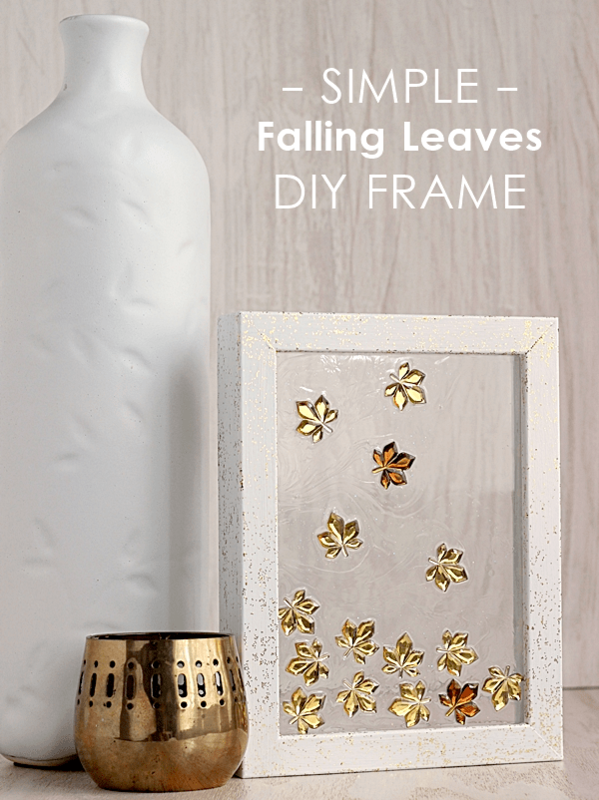 I currently have this DIY falling leaves frame propped up on my kitchen window sill. I don't see leaves blowing outside yet, but autumn crafts like this little scene helps me visualize that fall is on its way! Want to see how to make it? 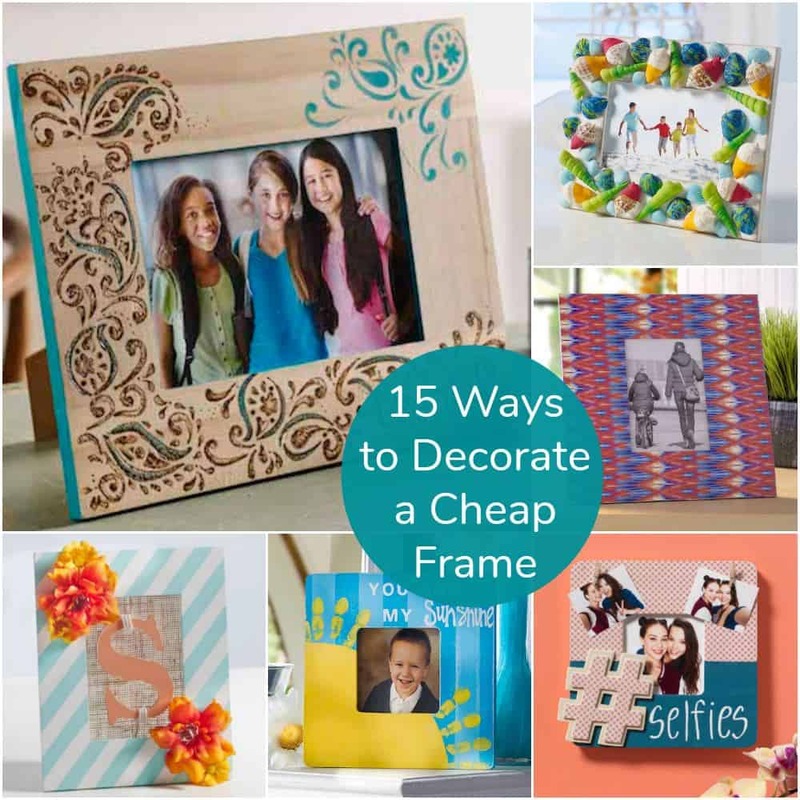 The trick is to find a small, thick frame that will stand on its own without the back. I found mine at IKEA, but I've seen them available elsewhere, including the dollar store. Note for this project: this project idea was originally created in September of 2013 – Dimensional Magic is no longer available in multiple formulas as you see below. You can only purchase it in clear at this time. Remove the back and glass from the frame. 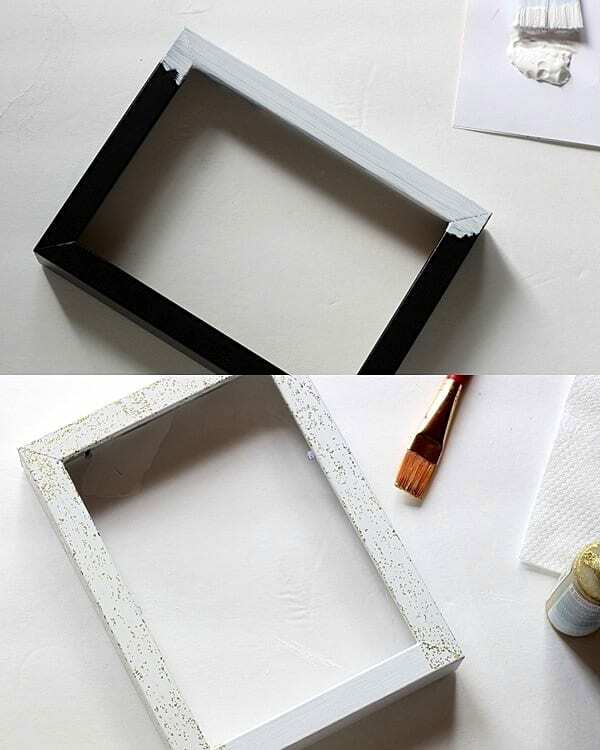 Paint the interior and exterior of the frame with white paint. Allow that to dry. Repeat with another coat, if needed. 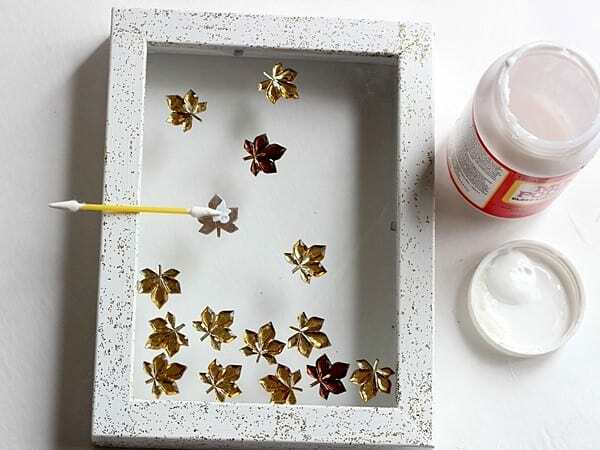 If desired, apply a coat of gold-flecked paint over the white and let dry. I have a penchant for glitter, so it was a no-brainer for me. Place the glass back in the frame. 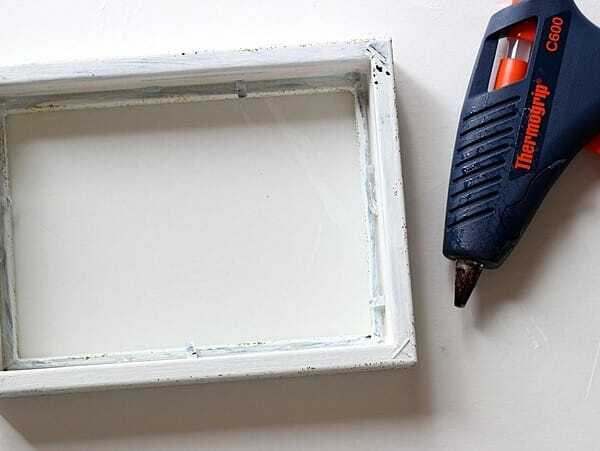 Flip it over and apply a bead of hot glue around the perimeter of the frame where the glass meets the wood. This will help hold the glass in place along with the metal clips. I only used periodic dollops of glue on each side, but I strongly encourage you to run a solid line a glue around all the edges. I'll explain why in a moment. Once the hot glue is dry, flip the frame right side up. Arrange the jewels on the glass in the pattern of your choice. 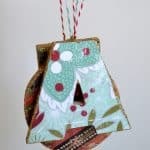 Using the cotton swabs, apply a dollop of Mod Podge to the back of each leaf. This will glue the leaves down before the Dimensional Magic is applied. 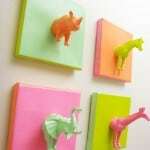 Allow the decoupage glue to dry. Now comes the fun part! 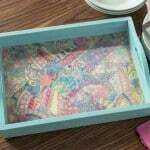 Place your frame over a drop cloth or other disposable work surface (it might get a little messy.) Drizzle the Glitter Dimensional Magic (DM) first onto the glass. I focused the application of the glitter DM around the leaves. Then, fill in the remaining areas with the Regular DM formula. Tips: Work slowly, so as not to create too many bubbles as you apply the DM. You don't need to completely cover the jewels, but you do want the glue to come up the edges of the leaves slightly. This will help hold the pieces in place and give an ‘embedded’ look once dry. 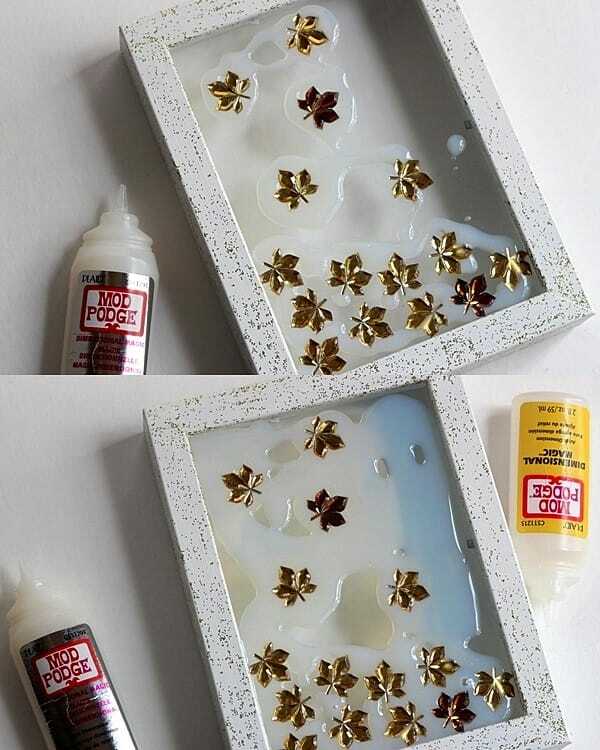 Use a pin to pop any bubbles you see in the glue. 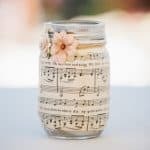 If you have leakage out the glass and back of the frame, prop the glass of the frame on something level that is smaller than the frame. Now, I think I had a lot of leakage because I did not apply much hot glue around the edges in the back. The glue seeped out as a result. If you do apply a line of hot glue to the perimeter on the back (as I advise above), I don't think you’ll see as much dripping. But, just in case you do, I recommend allowing the frame to dry propped up on something. I used a soda can. This will let the glue drip down onto your paper below, without sticking to the back of the frame. Allow the DM to dry completely (it usually takes overnight for me). Once dry, the DM will have a clear, glossy resin-like appearance. If you find that need to layer the Dimensional Magic because some areas sank while drying, you absolutely can layer it. It will dry clear and you won't even notice. Where the two formulas of DM met, ripples were left in the surface of my falling leaves frame as the glues dried. The effect almost looks like the wind is blowing the little leaves around. Love! 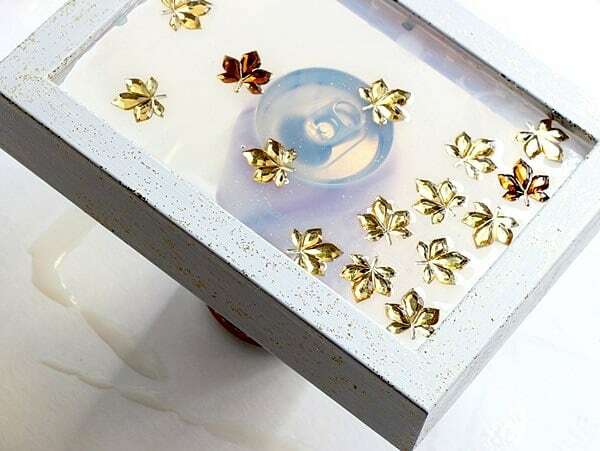 If you can't find leaf-shaped jewel pieces, you could repeat this process with anything small and light that will glue to surface of the frame. Buttons, rhinestones, sequins . . . I think they all would be pretty. Tiny snowflake pieces would be fun to mimic the look of falling snow for a winter theme. So, if you are like me and can't wait for autumn crafts, grab some Dimensional Magic and make a little, sparkly glimpse into fall today. This falling leaves frame is one of my favorite fall DIY projects ever! This is gorgeous!! I love the sense of movement around the leaves. Beautiful piece! This is gorgeous. Where did you find the leaf-shaped rhinestones? Love the wind effect! Do you know how the DM would react with pressed leaves? I don’t for sure, but I think it would be fine. It’s worth a try!